It's not easy to teach a cat to read, but one boy tries to anyway in this sweet and silly picture book debut that captures the challenges and rewards of learning to read. 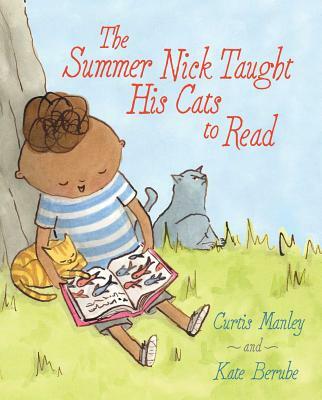 Nick loves to read books -- and he loves to play with his cats, Verne and Stevenson. So naturally Nick decides it's a great idea to teach his cats to read. But Verne and Stevenson don't appreciate when Nick wakes them up with a flashcard that says NAP. Nick finally piques Verne's interest with words like MOUSE and FISH. But not Stevenson's. While Nick and Verne go to the library, Stevenson hides under the porch. Will Nick ever find a way to share his love of reading with his feline friends?